This new prayer card was developed for Pope Francis’s visit to the United States in September 2015. 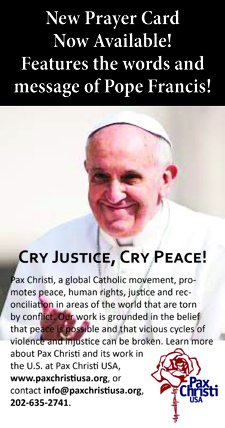 Pax Christi USA passed out thousands of these cards at events in Washington, D.C. and New York during the Pontiff’s visit. We’re now making it available as a resource for sharing this Pope’s message of mercy, justice and peace. This beautiful prayer card shares a message of hope for the world, “a cry for justice, a cry for peace.” With a picture of Pope Francis on one side and the powerful prayer, including a quote from him, on the opposite side. 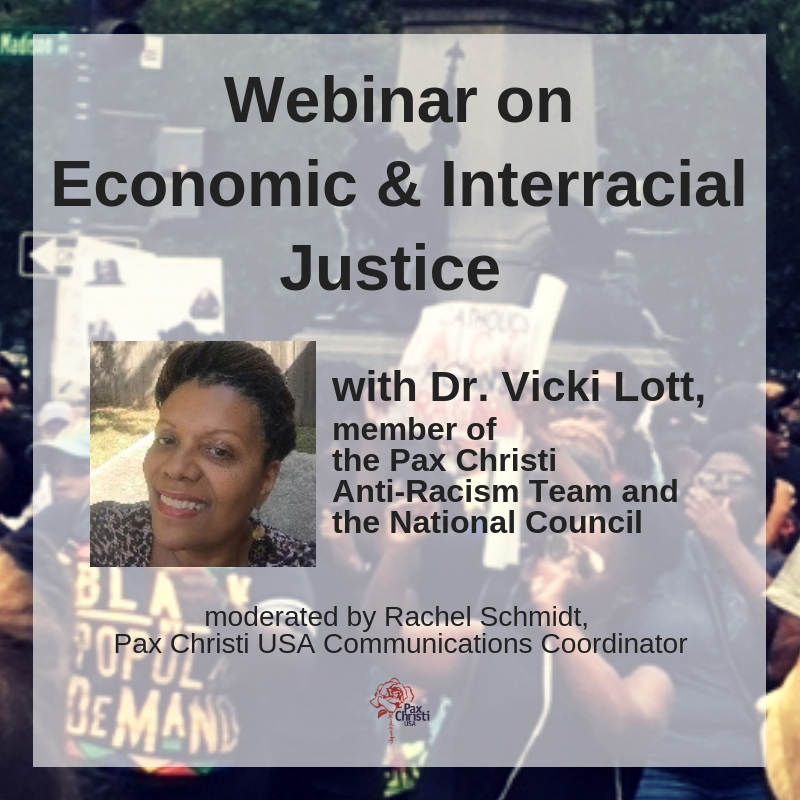 The prayer was written by Pax Christi USA Ambassador of Peace Tom Cordaro and Sr. Anne-Louise Nadeau, SNDdeN, Director of Programs for Pax Christi USA. Click here to order your prayer cards today!